This special event, part of the Home of Metal Black Country Weekender, continues our celebration of the birthplace of Heavy Metal. 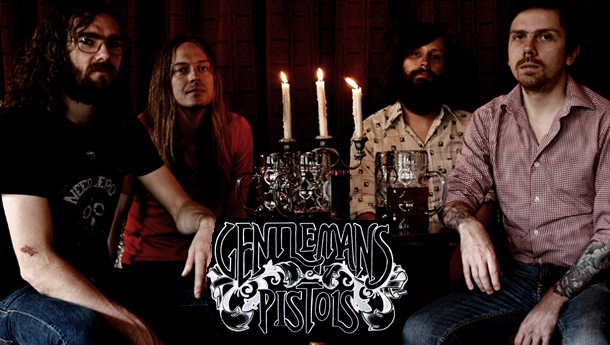 No frills, downright dirty, Rock & Roll will come from Gentlemans Pistols (Rise Above), an already cult UK band featuring former Napalm Death and Carcass guitarist Bill Steer. The night will also feature a silent Metal disco and as part of this special knees-up Flatpack Festival have put together Patch Jacket, a collage of clips and short films exploring the full spectrum of metal devotion., in addition there will be tours of the ‘BE TRUE TO YOUR OBLIVION’ exhibition and a special performance by artist Mark Titchner.